Photographs above by Patrik Trncak and Martin Popek. Tomas Trzicky observed a 120° parhelion during a flight over the Czech Republic. 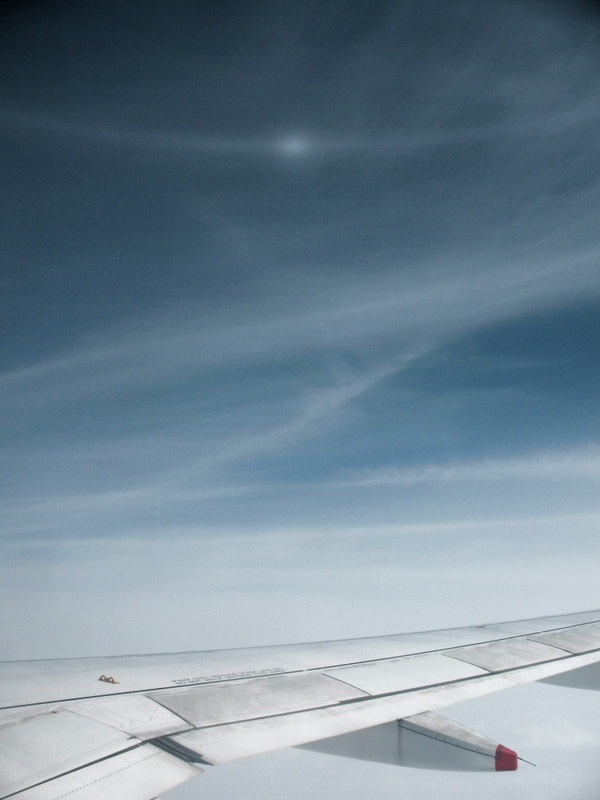 It was seen only briefly somewhere over the western part of the country while flying through cirrus clouds ( 1 ). 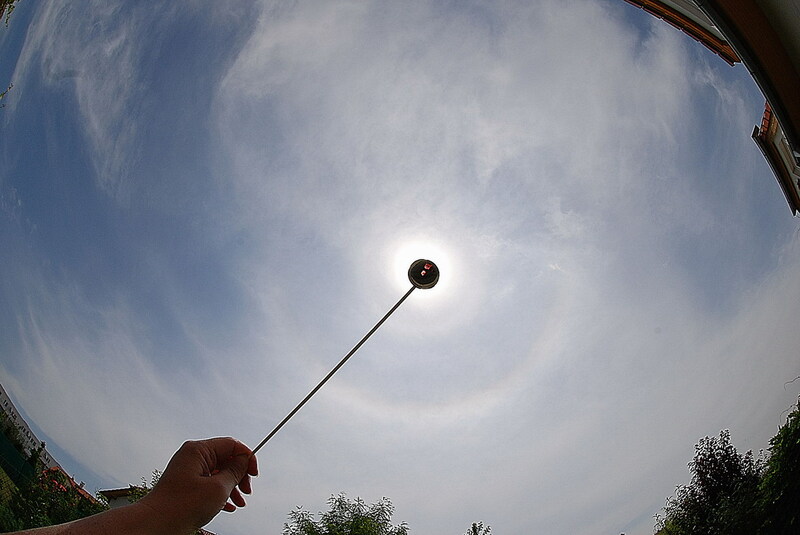 Stepanka Kosova observed in Prague-Uhrineves relatively strong 9° halo. 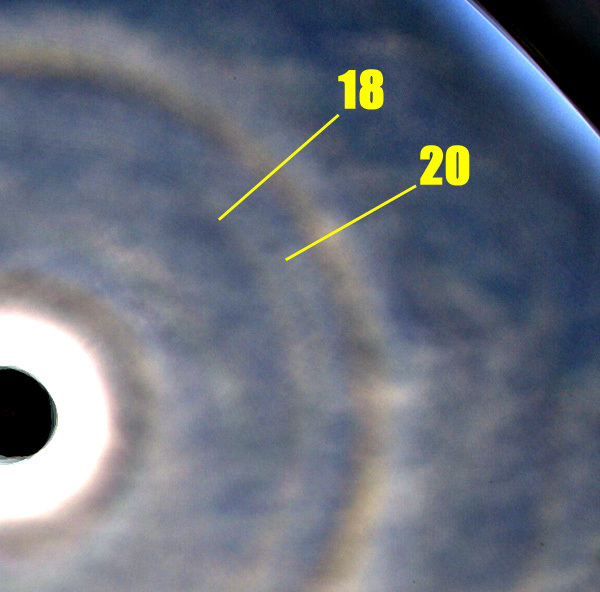 Stacking a few pictures has shown other possible odd radius halos as well ( 6 - 7 - 8 ). 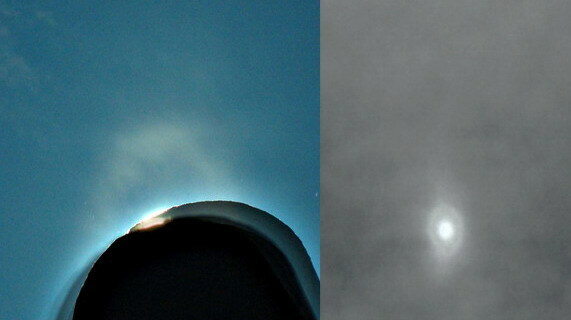 A number of observers saw a quite clear suncave Parry arc in the Czech Republic. 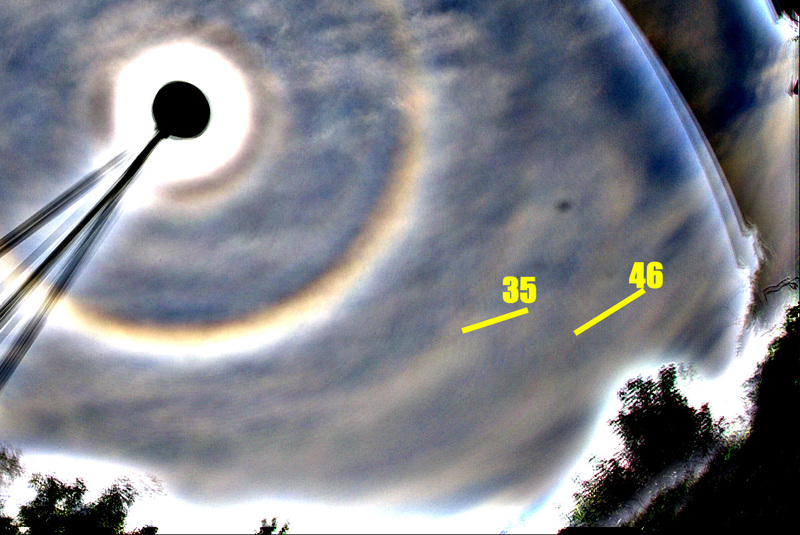 This followed the previous observation of Parry arcs in Germany by the same cloud front. Martin Popek photographed 50 pictures, stacked in Registax ( 10 ). The suncave Parry arc was observed by Jan Kondziolka in Karvina as well ( 11 ). 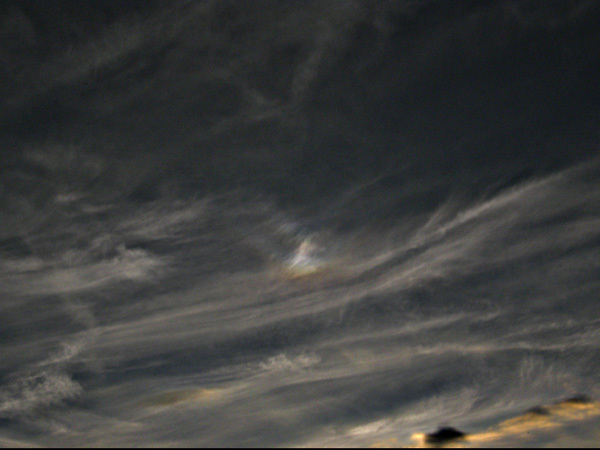 Martin Jankovic saw a nice 120° parhelion in Brno ( 12 ). After two years, halo-phenomena observers in the Czech Republic held a meeting again. This time it was organised by Patrik Trncak in Holesov. Ten observers arrived during the weekend, and although the weather was not too favourable for halo observation, we spent the time successfully: we had lectures on rare halo phenomena and Registax, slide shows and consultations about photo-editing and the future of the Czech HOP project. Here are some photos at IAN.cz and the magazine Parhelium ( 13 - 14 ). Now that Bottlinger is really something.